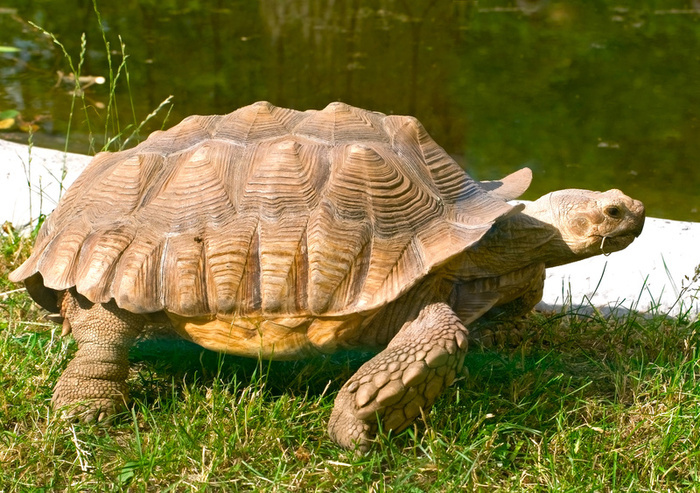 Animal Wildlife | Aldabra Giant Tortoise | The Aldabra giant tortoise is a giant species of tortoise native to the Aldabra islands in the Indian ocean. 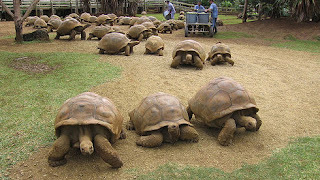 The Aldabra giant tortoise is one of the largest species of tortoise on the planet and is one of the world's longest living animals, with one Aldabra giant tortoise individual reaching the grand old age of 255 years old. The Aldabra giant tortoise is found inhabiting grasslands and swamps on the islands of Aldabra Atoll (an island of coral that encircles a lagoon partially or completely), which forms part of the Seychelles island chain in the Indian Ocean. 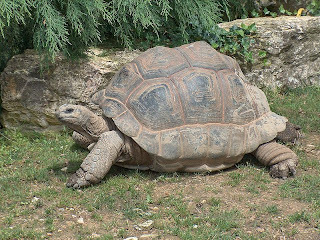 The Aldabra giant tortoise is the only Indian ocean giant tortoise species alive today as others have become extinct with the arrival of human settlers (including the Seychelles giant tortoise which is now thought to be extinct in the wild). 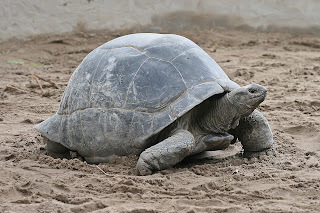 The Aldabra giant tortoise has an enormous dome-shaped shell which acts as protective armour to the soft, vulnerable body of the Aldabra giant tortoise underneath. The Aldabra giant tortoise also has an incredibly long neck which it uses to tear leaves from the branches higher up trees. Aldabra giant tortoises are found both individually and in herds, which tend to gather mostly on open grasslands. 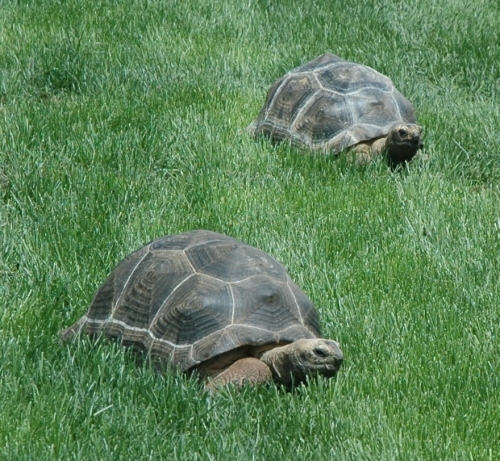 The Aldabra giant tortoise is generally most active in the mornings when they spend time browsing for food. 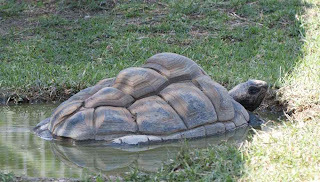 The Aldabra giant tortoise is also known to dig underground burrows or rest in swamps to keep cool during the heat of the day. The Aldabra giant tortoise is a herbivorous animal, spending much of it's time browsing for food in it's surroundings. The Aldabra giant tortoise is known to be found in areas known as "tortoise turf", an area that contains more than 20 different grass and herb species. 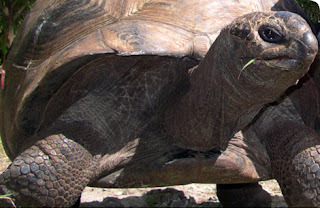 Aldabra giant tortoises also eat leaves, fruits and berries from the surrounding vegetation. Due to it's immense size and natural lack of mammalian predators, the Aldabra giant tortoise adults were thought to have no predators in the wild (the more vulnerable and smaller young are said to be hunting by a giant species of crab that lives in burrows on the atoll). However, with human settlers came domesticated animals that both preyed on the Aldabra giant tortoise and ate it's food. Female Aldabra giant tortoises lay up to 25 rubbery eggs, between February and May into a dry, shallow nest on the ground making them particularly vulnerable to predators. 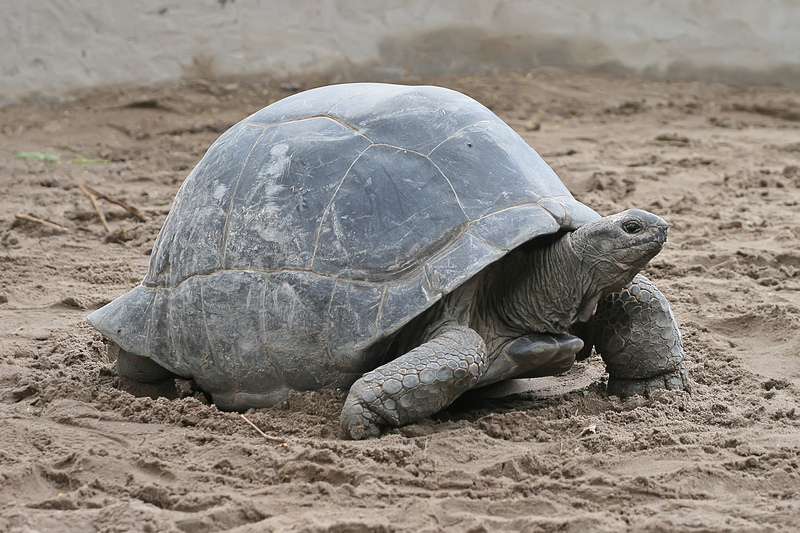 It is thought that female Aldabra giant tortoises are able to produce more than one clutch a year, which usually hatch after an 8 month incubation period. 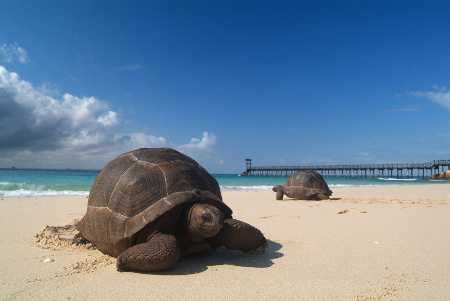 Today, the Aldabra atoll has been protected from human influence and is home to some 152,000 Aldabra giant tortoises, the world's largest population of the animal. 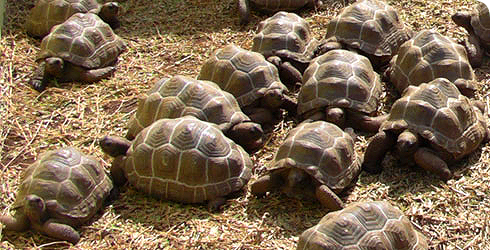 Another isolated population of the Aldabra giant tortoise resides on the island of Zanzibar, and other captive populations exist in conservation parks in Mauritius and Rodrigues. 0 Response to "Aldabra Giant Tortoise"